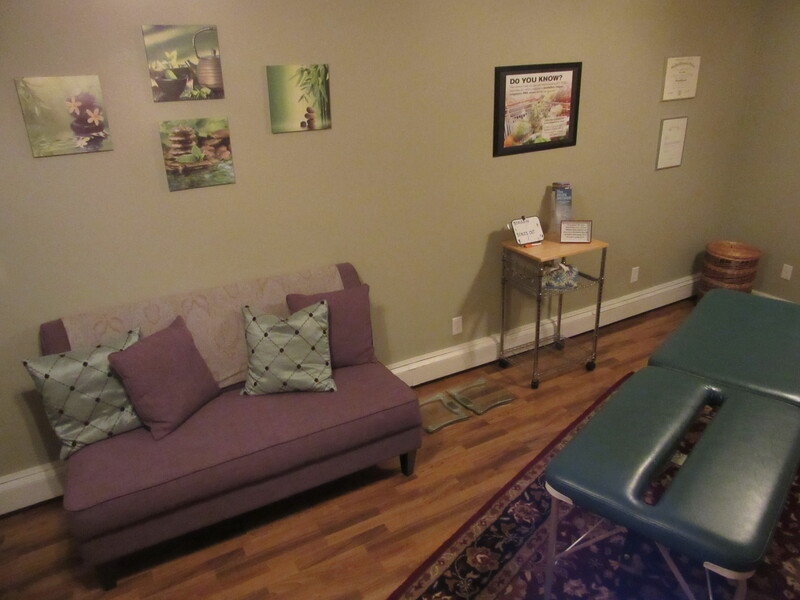 A comfortable place to relax until your appointment, our waiting room is stocked with fresh water, books on the subjects of chiropractic and nutrition, and all-ages coloring books with pencils and markers. 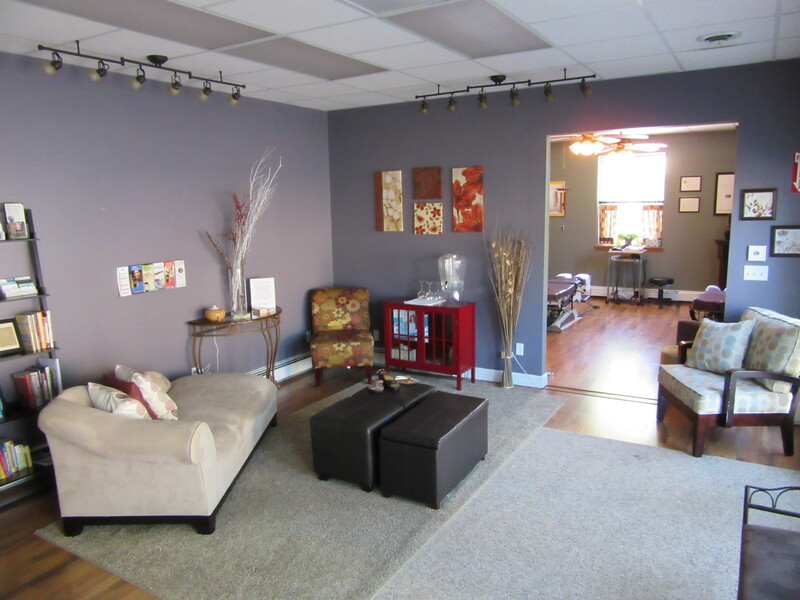 Our open adjusting area is adjacent to the waiting room. Historically, open adjusting has been used by chiropractors to encourage an ongoing dialogue about the practice between patients, learning from the adjustment of others. 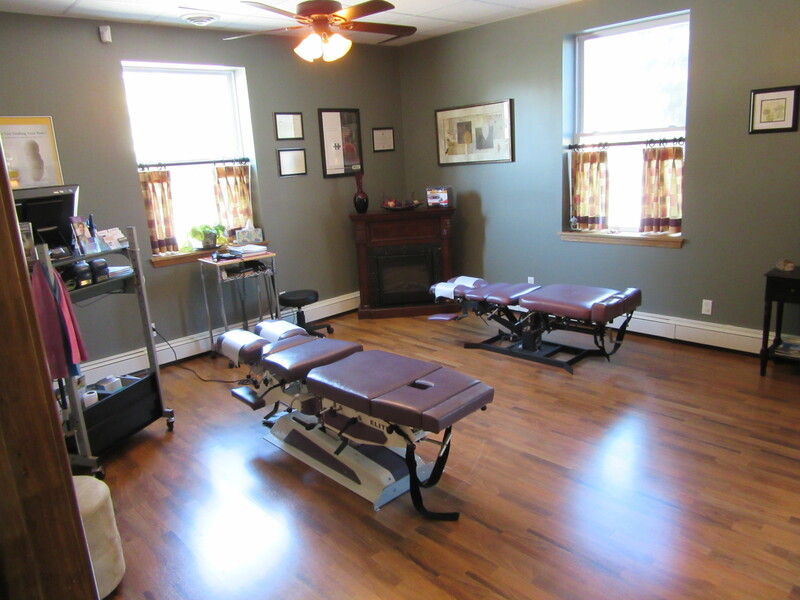 Patients not comfortable with open-space adjusting can easily be moved to a private adjustment area upon request. In addition to chiropractic adjustment with KST, the doctor also uses a flexion and distraction treatment for appropriate patients (herniated discs, low back pain, other qualifying conditions). This treatment method utilizes a combination of chiropractic and osteopathic principles, mobilizing various body parts and using slow manual traction to address many different forms of pain that can affect a person’s back, neck, legs, and arms. 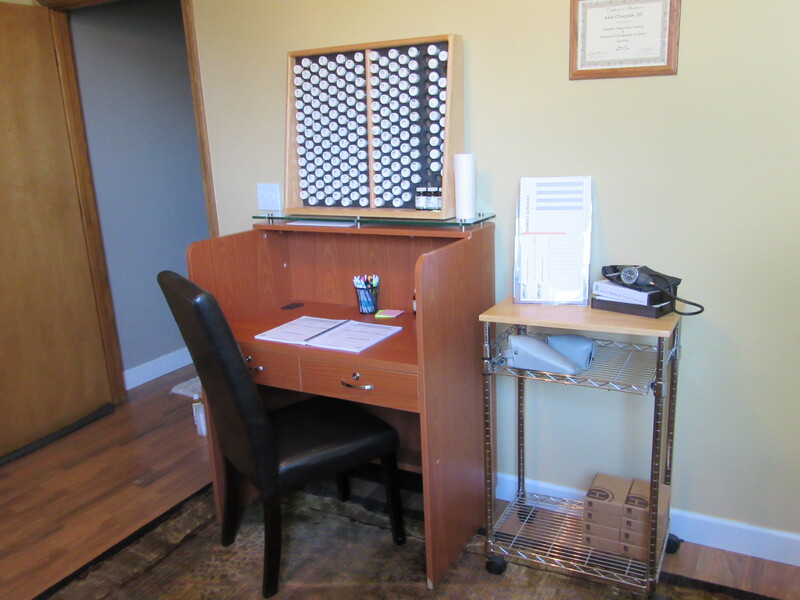 The majority of a new patient's initial appointment will take place in the doctor's exam room. Here she is stocked with some of the best in chiropractic technology - MyoVision's 3-part system of static electromyopgraphy, thermography, and all-new DynaRom, along with Foot Leveler's 3D BodyView Scanner, provides precise and detailed information about the health of your spine and related issues. 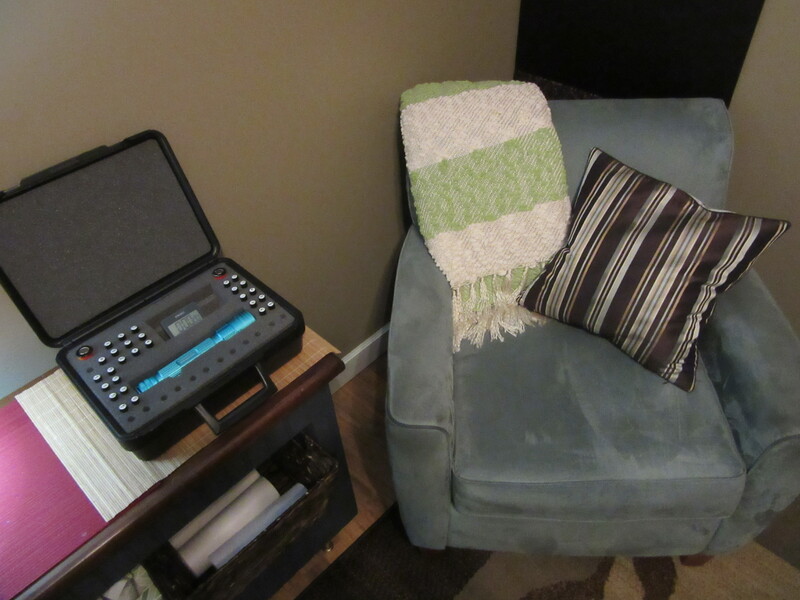 Pictured here is the doctor's Nutrition Response Technique assessment station. In NRT, the doctor uses kinesio-testing to analyze the body's neurological reflexes to detect nutritional imbalances. The body's reflexes are used to determine the root cause of a nutritional imbalance. Each reflex point in your body represents a specific organ, tissue or body system, and when a weak or strong reflex point is presented, information is shared with the doctor about your body and it's needs. HydroMassage water therapy uses heated water jets to provide you with the benefits of massage therapy without worry for tipping, clothing removal, or time lost. Your experience can be customized -- select the area(s) of the body you'd like to cover, then we'll adjust the water pressure and speed to suit your needs or the doctor's recommendations. It’s easy to schedule and receive a HydroMassage, and in as little as 15 minutes, you'll receive a full body or targeted massage, with it’s benefits of muscle relaxation, lymphatic drainage, and improved range of motion. HALO Botanical Healing Light Systems are used in conjunction with other treatments to speed healing. HALO systems are each made up of a specific light and a variety of botanically-based solutions in small vials. Each vial combines numerous botanical healing substances that work together to enhance your body's natural ability to heal itself. 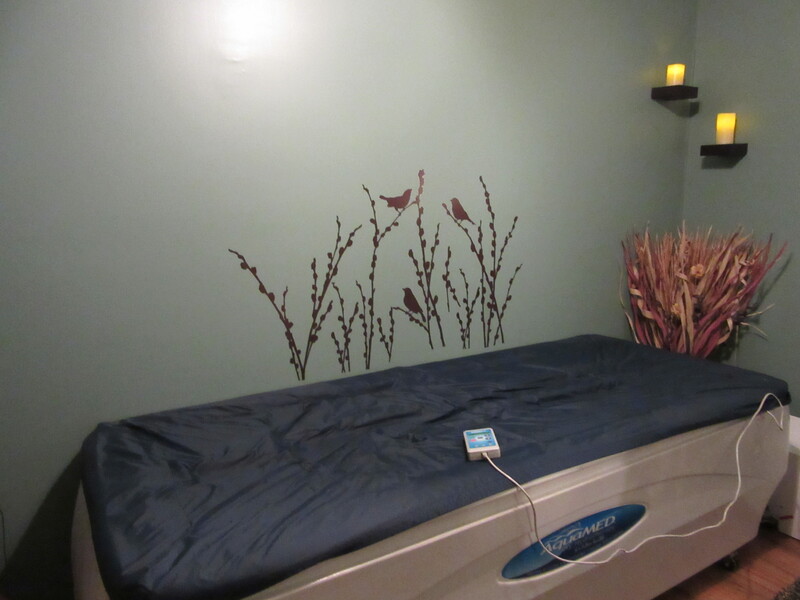 Pictured here is the HALO Ultra Blue system - we also offer violet and white LED light based treatments.